1.1 Subject to conditions set out below the Seller warrants that the Goods will correspond with their specification at the time of delivery and will be free from defects in material and workmanship for a period of 12 months from the date of their initial use or 12 months from delivery whichever is the first to expire. 1.2.1 The Seller shall be under no liability in respect of any defect in the Goods arising from any drawing, design or specification supplied by the Buyer. 1.2.2 The Seller shall be under no liability in respect of any defect arising from fair wear and tear, accidental or wilful damage, negligence, abnormal working conditions, failure to follow the Seller’s instructions (whether oral or in writing), misuse or alteration or repair of the Goods without the Seller’s approval, incorrect connection to a Power Supply. 1.2.3 The Seller shall be under no liability under the above warranty (or any other warranty, condition or guarantee) if the total price for the Goods has not been paid by the due date for payment. 1.2.4 The above warranty does not extend to batteries or generating sets, in respect of which the Buyer shall only be entitled to the benefit of any such warranty or guarantee as is given by the manufacturer to the Seller. 1.3 Save as aforesaid and subject to section 6 of the Unfair Contract Terms Act 1977 and Section 7 of the Consumer Protection Act 1987 and with the exception of those implied by section 12 of the Sale of Goods Act 1979 all conditions and warranties whether express or implied by Statute of Common Law and whether oral or written are (unless specifically confirmed by the Company in writing) excluded and negatived. 1.4 Where the Goods are sold under a consumer transaction (as defined by the Consumer Transactions (Restrictions on Statements) Order 1976 the statutory rights of the Buyer are not affected by these Conditions. 1.5 Any claim by the Buyer which is based on any defect in the quality or conditions of the Goods or their failure to correspond with specification shall (whether or not delivery is refused by the Buyer) be notified to the Seller with 7 days from the date of delivery or (where the defect or failure was not apparent on reasonable inspection) within a reasonable time after discovery of the defect or failure, and the Buyer shall be bound to pay the price as if the Goods had been delivered in accordance with the Contract. 1.6 Where any valid claim in respect of the Goods which is based on any defect in quality or condition of the Goods or their failure to meet specification is notified by the Seller in accordance with these conditions, the Seller shall be entitled to repair or replace the Goods (or the part in question) free of charge or, at the Seller’s sole discretion, refund to the Buyer the price of the Goods (or a proportionate part of the price), but the Seller shall have no further liability to the Buyer. 1.7 Except in respect of death or personal injury caused by the Seller’s negligence, the Seller shall not be liable to the Buyer by reason of any representation, or any implied warranty, condition or other term, or any duty at common law, or under the express terms of the Contract, for any consequential loss or damage (whether for loss of profit or otherwise) costs, expenses or other claims for consequential compensation whatsoever (and whether caused by the negligence of the Seller its employees or agents or otherwise) which arise out of or in connection with the supply of the Goods or their use or resale by the Buyer, except as expressly provided in these Conditions. 1.8 The Goods are supplied with a separate warranty statement for the benefit of the ultimate purchasers of the Goods. In the event of there being any inconsistency between the terms of these Conditions and the warranty statement, these Conditions shall prevail. 3.1 The Buyer shall read all relevant information and advice which the Seller may make available to the Buyer, in particular the operating instructions and safety notes relating to the Goods and all relevant booklets or guidance issued by the Health and Safety Executive and the Buyer shall ensure that the Products are used in accordance with all such information, advice instructions, notes and booklets. 3.2 In the event of the Buyer selling or hiring the Goods or disposing of the Goods on hire purchase the Buyer shall ensure that copies of the operating instructions and safety notes provided by the Seller relating to the Goods in question are made freely available to the Buyer’s customers together with any relevant booklets or guidance issued by the Health and Safety Executive. 4.1 Any indulgence granted by the Seller to the Buyer and any failure by the Seller to insist upon strict performance of these Conditions shall not be deemed a waiver of any of the Seller’s rights or remedies nor be deemed a waiver of any subsequent default by the Buyer. 4.2 Any notice required or permitted to be given by either part to the other under these Conditions shall be made in writing addressed to that other party at its Registered Office or principal place of business or such other address as may at the relevant time have been notified pursuant to this provision to the party giving notice. 4.3 The Contract is not assignable by the Buyer without the written consent of the Seller and is between the Seller and the Buyer as principals but the Seller may without consent assign or sub-contract all or any of its rights and obligations hereunder. 4.4 If any of the events referred to in Clause 7.7 occur or if the Buyer makes default in or commits a breach of the contract the Seller may forthwith on written notice to the Buyer terminate the Contract without incurring liability to the Buyer and without prejudice to the Seller’s rights which may have accrued up to the date of termination. 5.1 The Contract shall be governed by the Laws of England and both parties hereby agree to submit to the non-exclusive jurisdiction of the English Courts. 5.3 In accordance with item 3.3 of our standard terms and conditions of sale, the following charges will be applied to cancelled orders or goods returned for credit at our discretion, for standard product items. 5.5 Also all additional costs such as delivery will be recovered. 5.6 In the case of returned goods authorisation should be sought by Bowthrusters Direct prior to return of goods to our works. 5.7 For non-standard goods, charges will be made in accordance with 3.3 of our standard terms and conditions of sale, evaluated on the basis of each specific case. 6.1 Subject to the Conditions set out below Bowthrusters Direct warrant that the goods will be free from defects in material and workmanship for a period of 12 months from the date of their initial use or 12 months from delivery, whichever is the first to expire?  If a defect or fault arises within this period Bowthrusters Direct shall repair replace or otherwise rectify the fault or defect without charge for parts and labour in accordance with these warranty terms. 6.3 Bowthrusters Direct shall be under no liability in respect of any defect arising from fair wear and tear, accidental or wilful damage, negligence, abnormal working conditions, failure to follow Bowthrusters Direct instructions (whether oral or in writing), misuse or alteration or repair of Bowthrusters Direct Goods, or without approval from Bowthrusters Direct, or incorrect connection to a power supply. 6.4 The above warranty does not extend to batteries or generating sets which may be subject of a warranty or guarantee given by the manufacturer concerned. 7.1 In the event of a defect occurring in the Goods the following procedure should be followed. 7.3 Contact the authorised Bowthrusters Direct dealer from whom the product was purchased and advise them of the information contained in 3.1 above, together with details of the fault. If it is not possible to contact the authorised dealer from who the goods were purchased, contact the nearest authorised dealer as published in the Bowthrusters Direct national dealer list which is available upon request. In the event that this is not possible, contact should be made with Bowthrusters Direct. 7.4 Any claim under this warranty must be notified to the appropriate authorised Bowthrusters Direct dealer or Bowthrusters Direct within 7 days from the date of delivery or (where the defect or failure was not apparent on reasonable inspection) within a reasonable time after discovery of the defect or failure. 7.5 In the event that the customer has a valid claim under this warranty a service reference number will be issued together with authorisation to proceed with the repair or replacement of the unit or part or parts. 7.6 Where the return of goods or parts is necessary the carrier should be agreed with the authorised Bowthrusters Direct dealer or Bowthrusters Direct before despatch and they should be adequately packed to avoid damage in transit. The costs of carriage to and from the authorised Bowthrusters Direct dealer, Bowthrusters Direct or the manufacturer, as the case may be, shall be the responsibility of the customer. Do not return goods without a service reference number. Do not return goods by any method or carrier other than agreed with Bowthrusters Direct prior to their despatch. If these conditions are not observed then Bowthrusters Direct reserves the right to return the goods without repair and/or not to refund the carriage costs. 7.7 It may be agreed that an engineer should attend the installation. The cost of the engineer’s time and expenses are not covered by the above warranty. The engineer’s time will be charged at the rates applicable from time to time and expenses will be charged at cost. 8.1. The warranty is limited to the value of the goods covered by the warranty. 8.2 These warranty terms apply only to goods purchased within the United Kingdom, the Channel Islands, the Isle of Man and Eire. 8.4 If there is any inconsistency between these warranty terms and Bowthrusters Direct’s conditions of sale then Bowthrusters Direct conditions of sale shall prevail. 8.5 These warranty terms do not affect your statutory rights.